Today’s post is a collection of random meals that I’ve had over the last several days. Sometimes I realize that I’ve forgotten to take pictures of my meals. While I’m definitely a healthy eater and total foodie who loves to dine out, keeping up with meal photography and documentation is not what I want to do. At least not every single day for every meal! I forget where I was reading this comment, but I read somewhere that a person stopped following a few healthy living bloggers because she no longer wanted to hear about food all of the time. While she stated that she liked those bloggers, she was trying to get beyond her disordered eating and it was becoming important NOT to read about food habits (even if they were healthy habits) and not to see every single meal and food details on a regular basis. What I eat and remembering to take pictures of what I eat is not even close to the first thing on my mind which I believe is an important point to gather from my rambling this morning. Taking constant pictures of food means constantly thinking about what I am eating. I don’t think very much about what I am eating, what I had this morning, or what I will have later. Of course I realize I have my blog and certain things need to be shared but I can’t share every meal or have food conversations on a daily basis. It doesn’t feel natural and this blog is written from an honest, natural standpoint. I’m well aware that a lot of my followers are trying to get beyond their disordered eating habits and patterns too. I like to think that my blog over the years has been a helpful resource in terms of honesty, education, and enlightenment regarding a balanced eating lifestyle. I also hope that my blog has assisted you in realizing it’s okay to not think about food all of the time. While blogs are so great to read, please be mindful of how many you are reading on topics you may need to avoid or at least avoid reading ad nauseam. Too much of anything is just not okay, you know? Now that we got that out of the way, here are a few random meals from the last few days. Back on the english muffin pizza kick! I don’t know how I forgot that I love English muffin pizzas! They are the perfect little snack or light lunch! Then there was this random idea to have an english muffin with melted mozzarella and tomato plus avocado. Oh, so good. Wait, I think I also sprinkled the Trader Joe’s everything but the bagel seasoning on top. Try it! Delicious. It’s not typical for me to go out for pizza and choose a slice that doesn’t involve sauce. 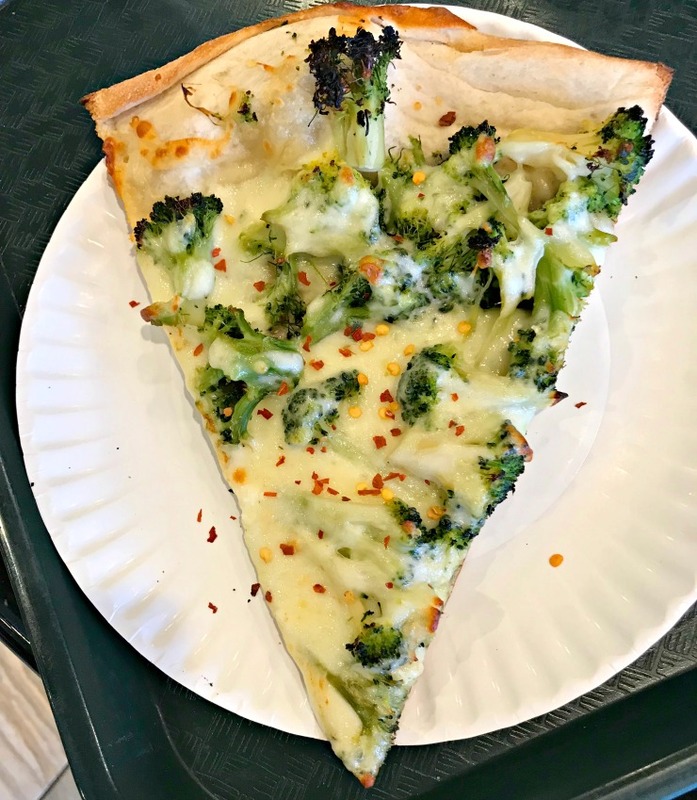 Why did I choose this broccoli slice without sauce? I don’t know! It looked good in the moment so I ordered it. Simple sushi lunch! 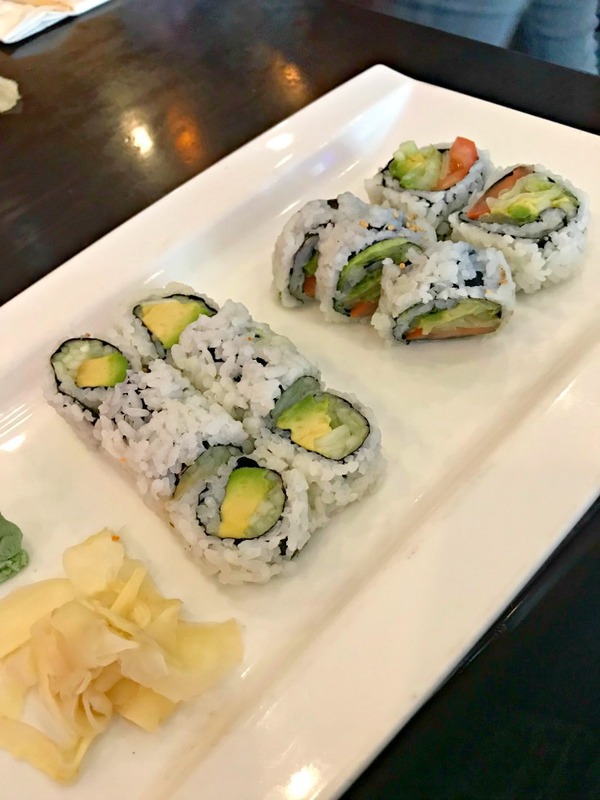 Both rolls were veggie rolls on this occasion as I’m not always in the mood for the sushi rolls which contain fish. I’m still grabbing the chopped up Powerhouse Veggie Blend from Stew Leonard’s. 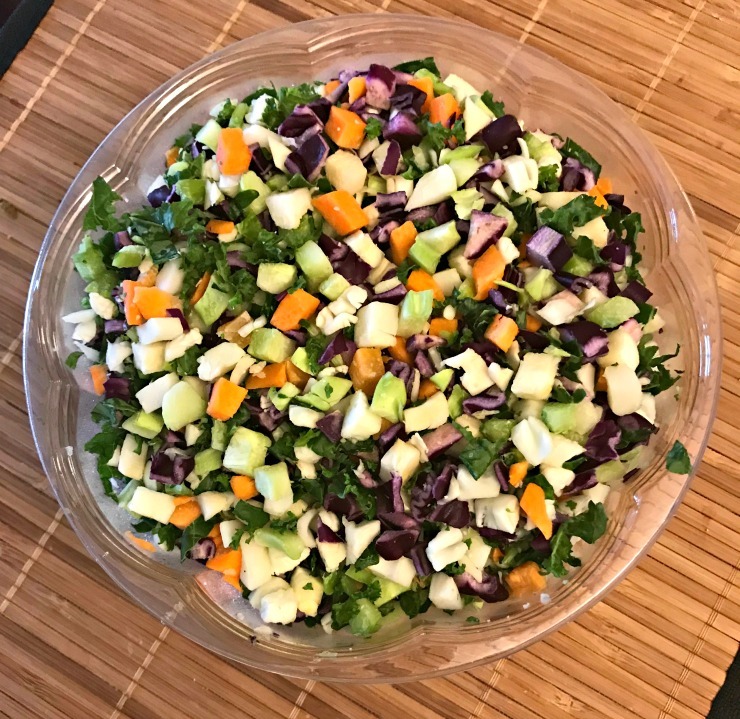 I easily get at least four meals from this bowl of veggies which really makes it worth buying in my opinion. 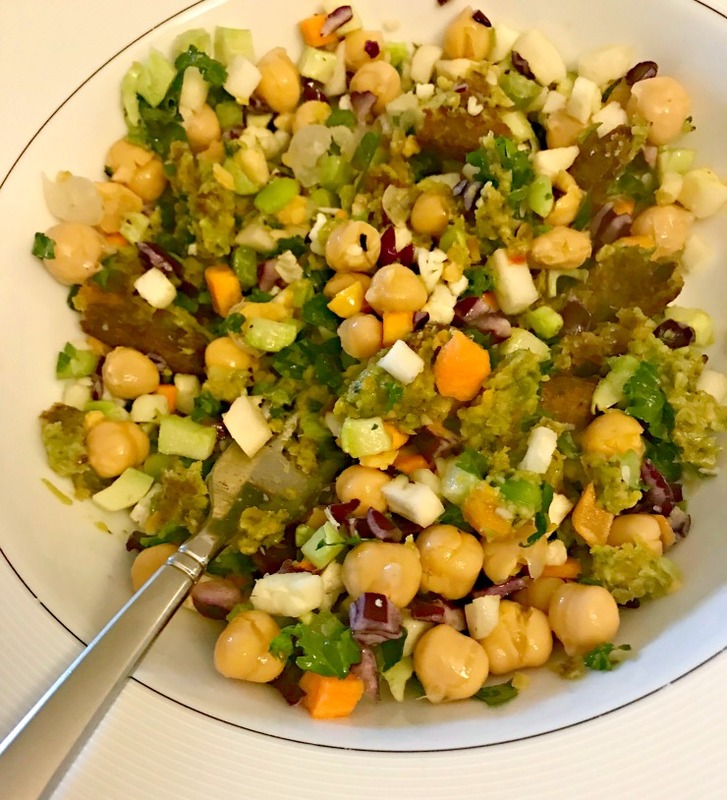 For lunch earlier this week, I added a Dr. Praeger’s veggie burger plus chick peas to the veggie blend to create this salad. 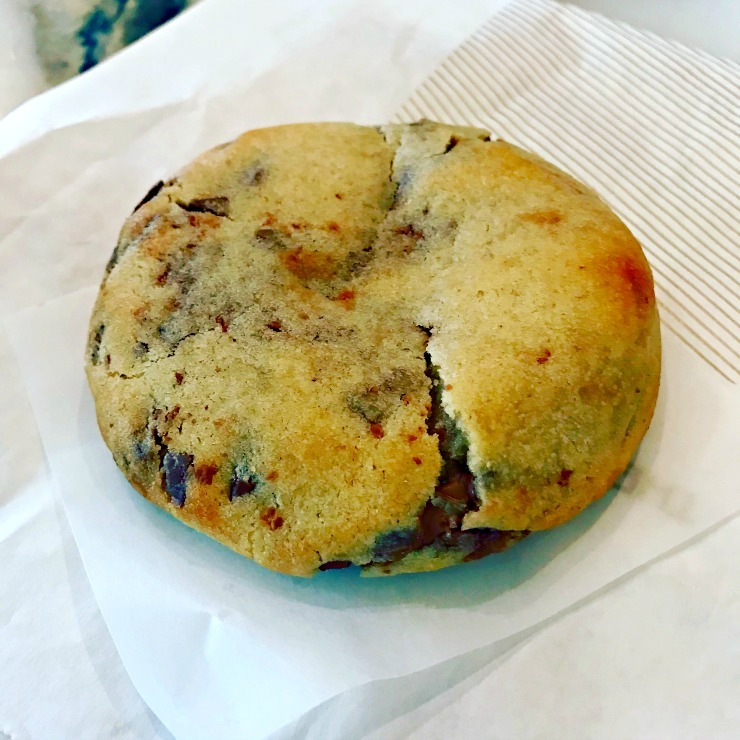 Chocolate chip cookies are the best when they are super soft and gooey. I do not do crispy chocolate chip cookies unless of course it’s the edges that are crispy and the centers are gooey. In which case, I only eat the center of the cookie and leave the crispy parts for someone else to make it seem like I’m good at sharing. How do you like to eat English muffins? Do you take pictures of your meals for your blog or other purposes? Do you always remember to do it/have you fallen out of the habit/interest over the years? Have you unfollowed certain blogs at times because you feel they are becoming unhealthy for you to read? I used to take pictures of my food when I used to actually blog about food. I feel like my food is not at all interesting and I’ve never been good at taking pictures of food, so I just sort of moved away from that topic I guess. I haven’t had an English muffin in forever but they sound really good! I think it’s hard to keep up taking pictures of our food, and I don’t find most of what I eat interesting either! I haven’t had an English muffin in so long! Next time I have them I’ll have to try making a pizza out of it since that looks delicious. it’s such a quick and easy meal, let me know if you make one! That broccoli pizza looks so good! Sometimes I make pizza without sauce and just a bit of garlic and olive oil. it was a nice change from my usual pizza choices! 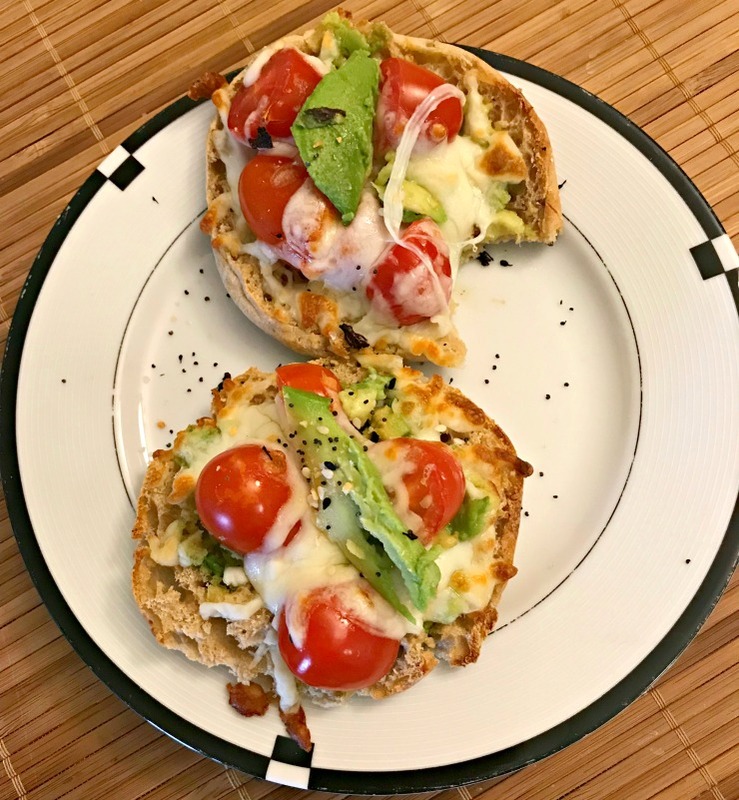 Tomato, Avocado and Mozzarella on English muffin. That a double thumbs up! I think this combination also will wok well. Green Bell Peppers, Tomato, Onion and Mozzarella :P.
I’m a food blogger and even I can’t talk about food all the time. In fact, I’m not a big fan of people who’s feed is literally just food pictures. I want to know the person behind the food and if I don’t see one, I’m out. 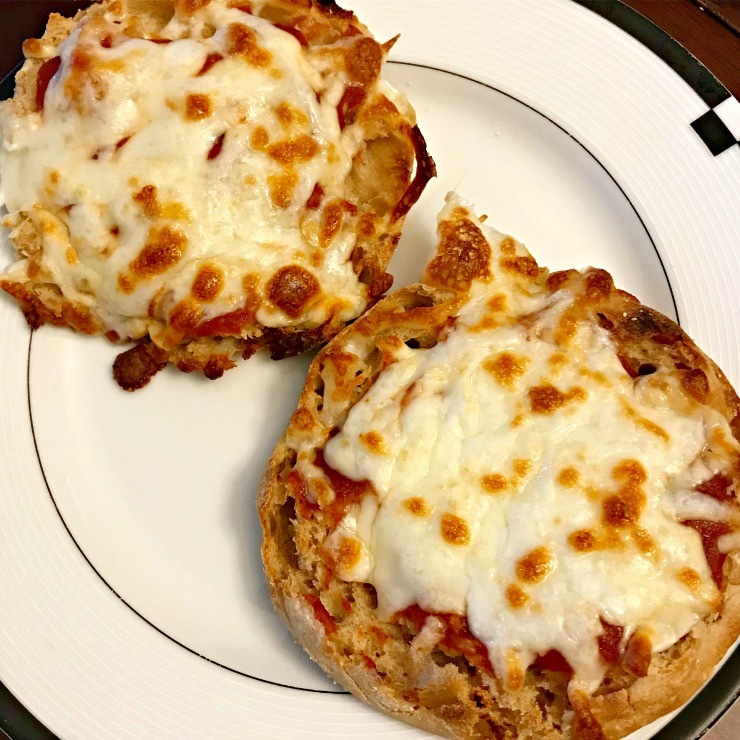 The english muffin pizza idea is genius and perfect for little ones to help. We may do that tonight. Thanks lovely for the inspiration.